Prince Edward Island — aka PEI — is on my mind this morning. I can’t shake it. It’s bliss on the ocean. Our first and only trip there was in the fall of 2012. We went for the PEI International Shellfish Festival. But we were on island for six days and got to see more than a lobster, oyster, mussel, or bowl of chowder. I ate my fill, along with my weight in PEI fresh cut fries. The PEI Studio Tour was on at the same time. One artisan I did not want to miss was Brenda Watts of Cattails Woodwork. I first learned about Brenda at The Art of Doing Stuff. If you’re not reading Karen, hie thee over. I’ve said it before. I’ll say it again. Click. On. Over. Brenda creates beautiful, functional, handmade goods from wood. 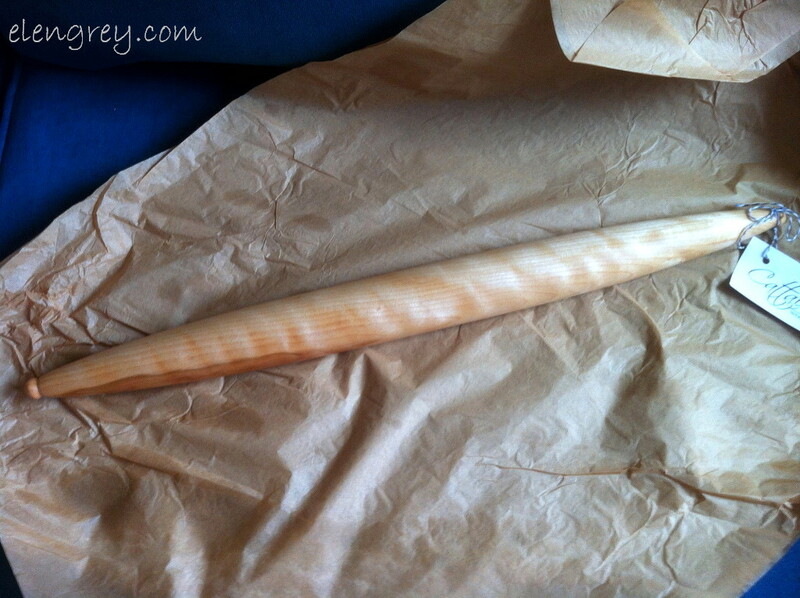 I had long coveted a French rolling pin. Thank you, Karen! And I wasn’t leaving the island without one. It made the road trip home like this. It wasn’t the only Cattails piece that left PEI either. We each bought a piece to celebrate our anniversary. The G-Man came home with a yummy cutting block/serving board. It’s used often and well. And both pieces remind us of PEI, especially the rural end! 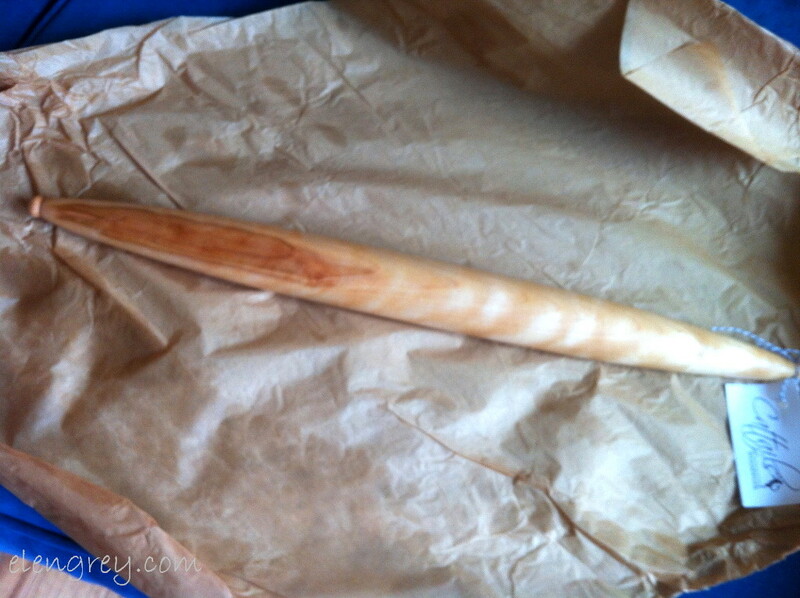 This is the flame birch French rolling pin. I just want to hug it. Go ahead. Take a moment. Swoon. It has pride of place in the kitchen. Finding Brenda was challenging. When she says she lives in rural PEI, believe it. Touring her shop — dreamy. If I’d had more room in the car homeward bound, I would have had a bundle of brown paper parcels. 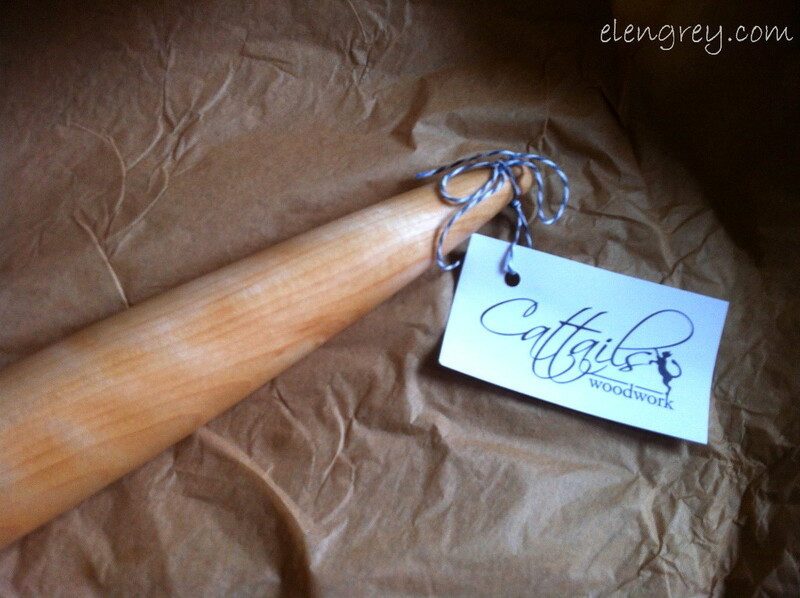 You can find Cattails Woodwork on Etsy here. I’m thinking you just got a four-fer for Close Shot Friday. I’m also thinking another trip to PEI would not go amiss. Shuffles left. Googles Trip Advisor. That all sounds so great. 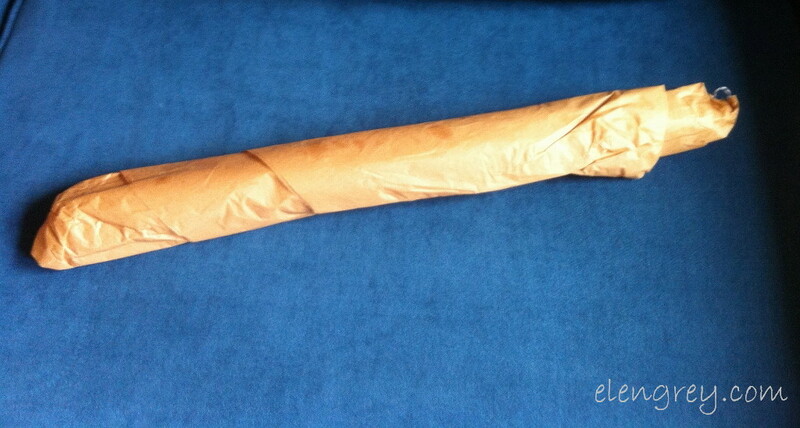 I thought “French rolling pin” was a kind of bread in that first shot! Looked pretty tasty until the 2nd shot. That is the kind of thinking, Gruhn, that allows you to create those very funny webcomics of yours. Just sayin’. Thanks for dropping by and leaving a comment. Cheers. Seriously? Then you live in a beautiful spot. It was my pleasure to spotlight Brenda. She makes gorgeous functional art! Thanks! It’s truly a beautiful place.